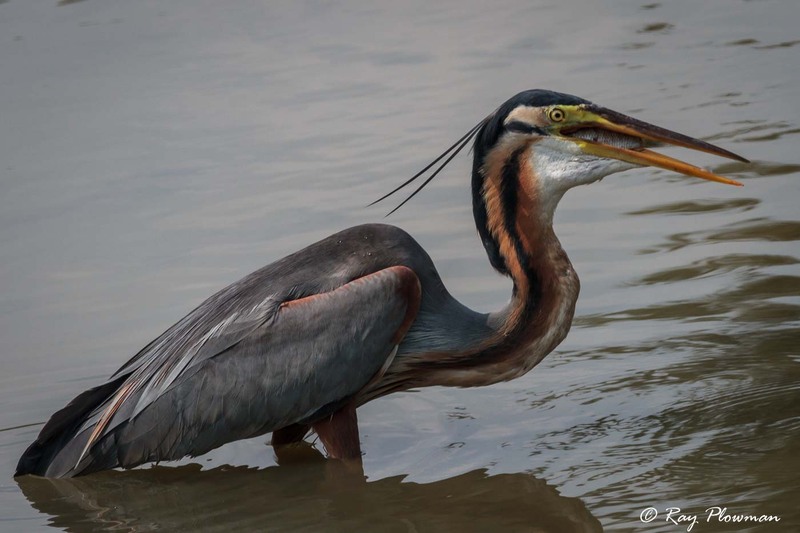 Herons belong to the Ardeidae family. 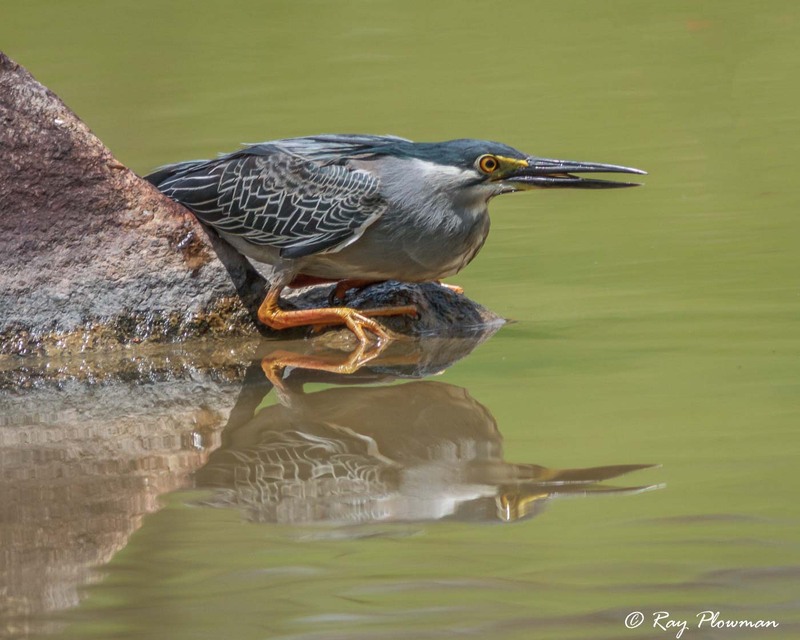 This page features photo essays of purple, grey and striated herons together with an image gallery of other species depicting feeding, hunting and other behaviours. 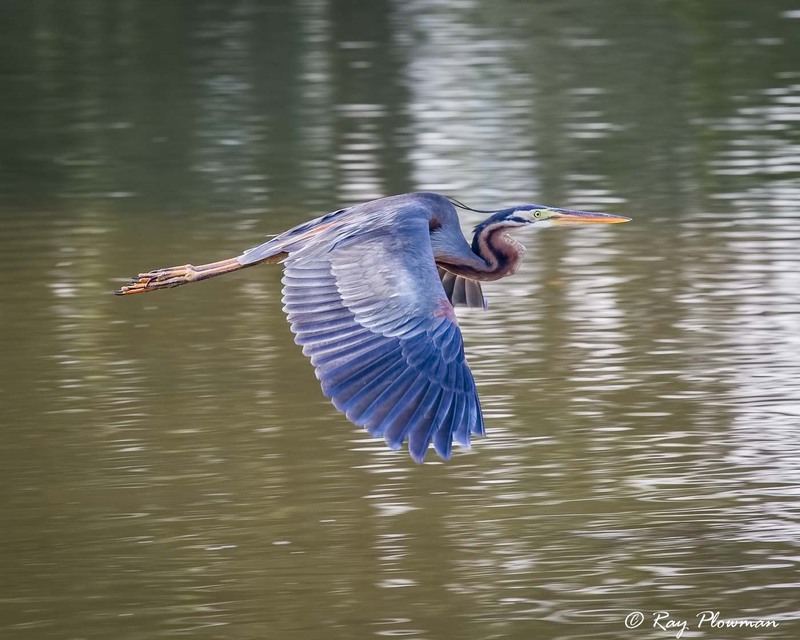 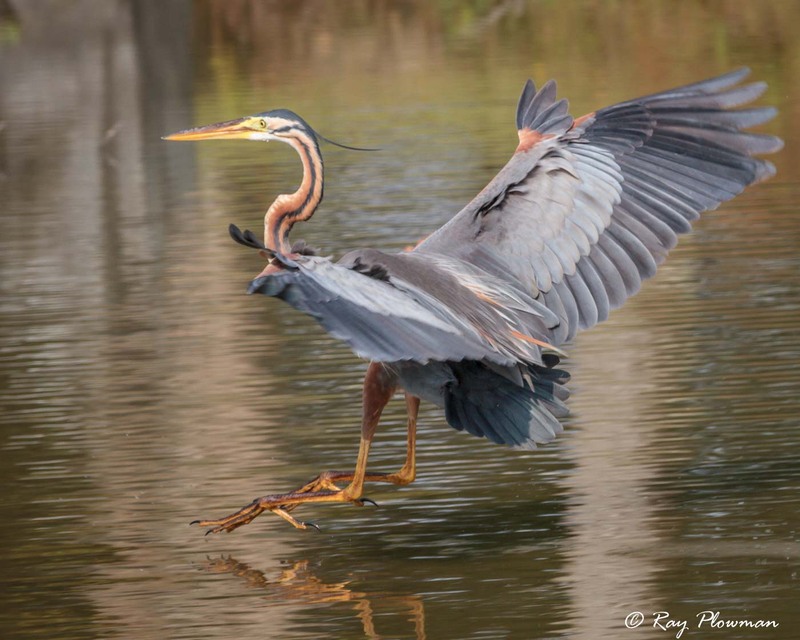 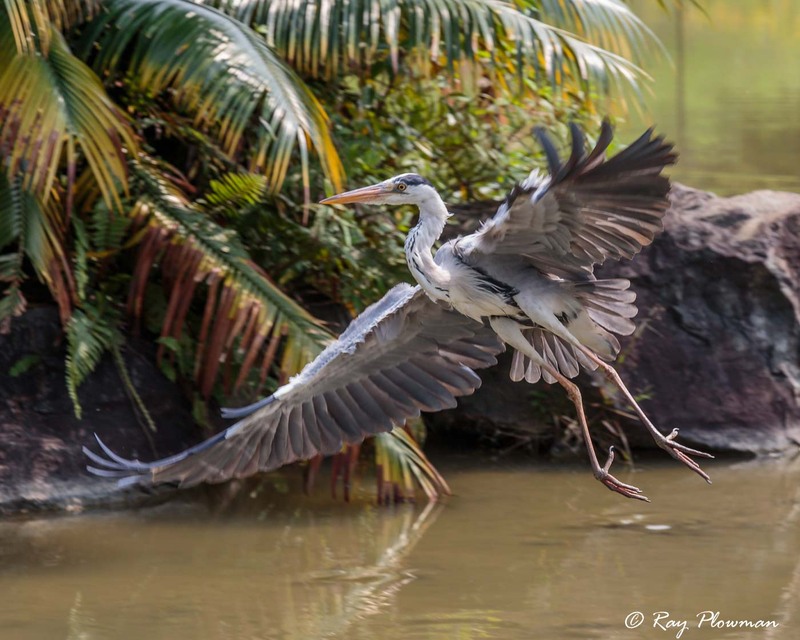 The photo essay shows a purple heron flying to and landing in the main lake in the Japanese Gardens in Singapore. 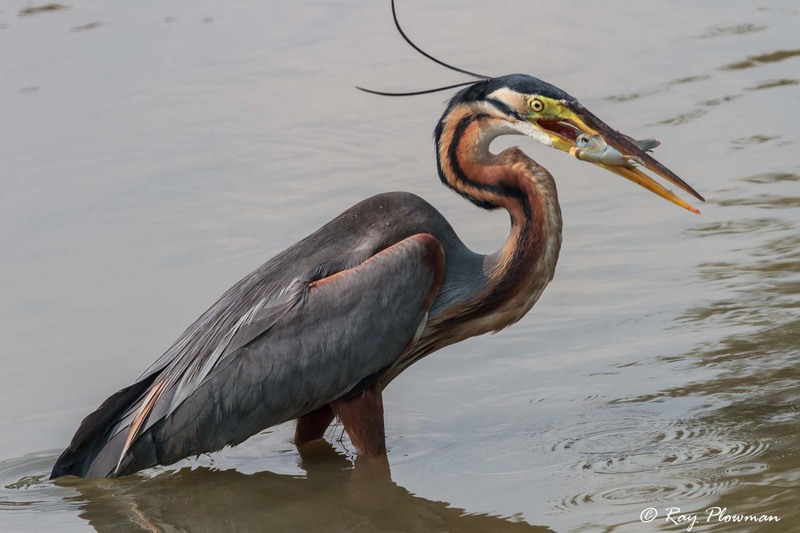 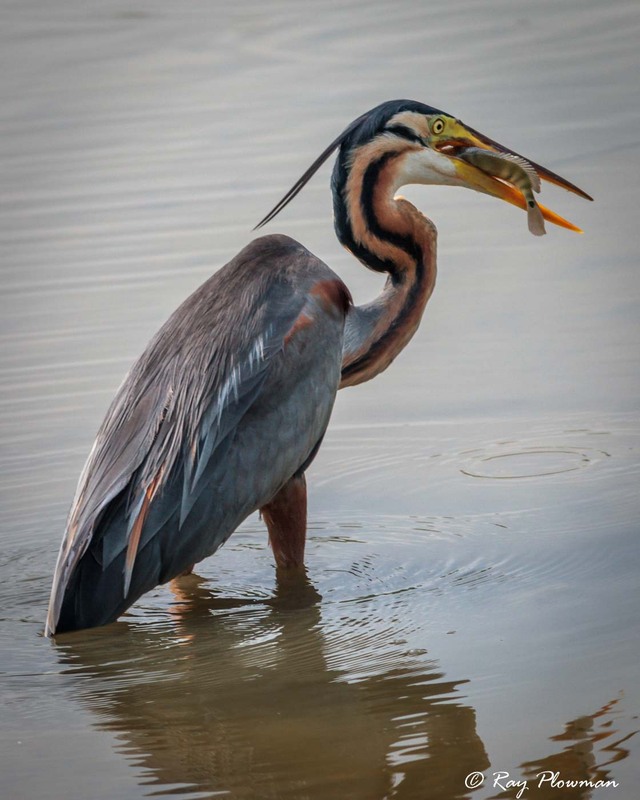 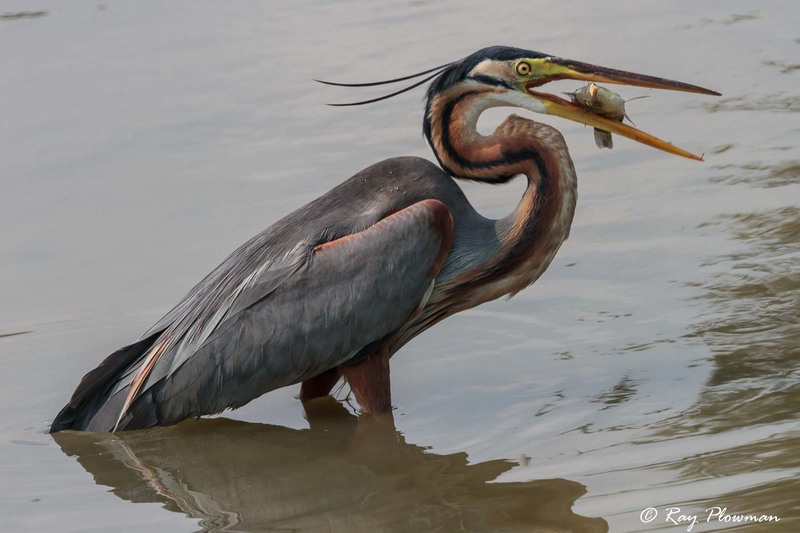 Two short sequences show a heron hunting and stabbing fish and then devouring its prey. 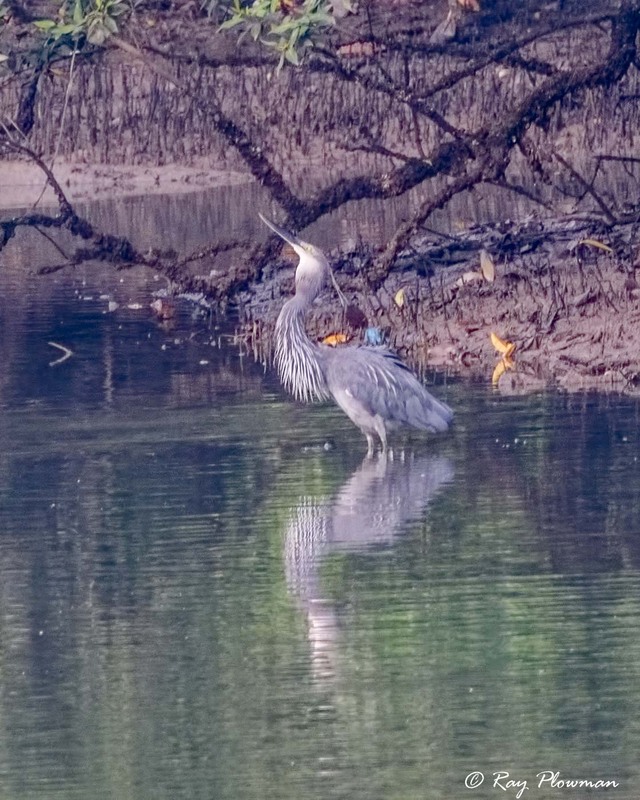 The immature was photographed in Bishan AMK park also in Singapore. 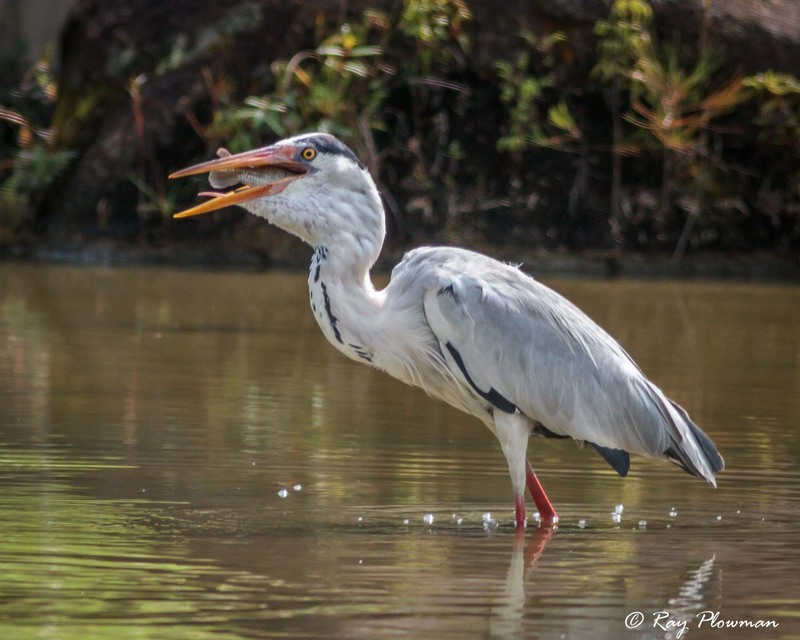 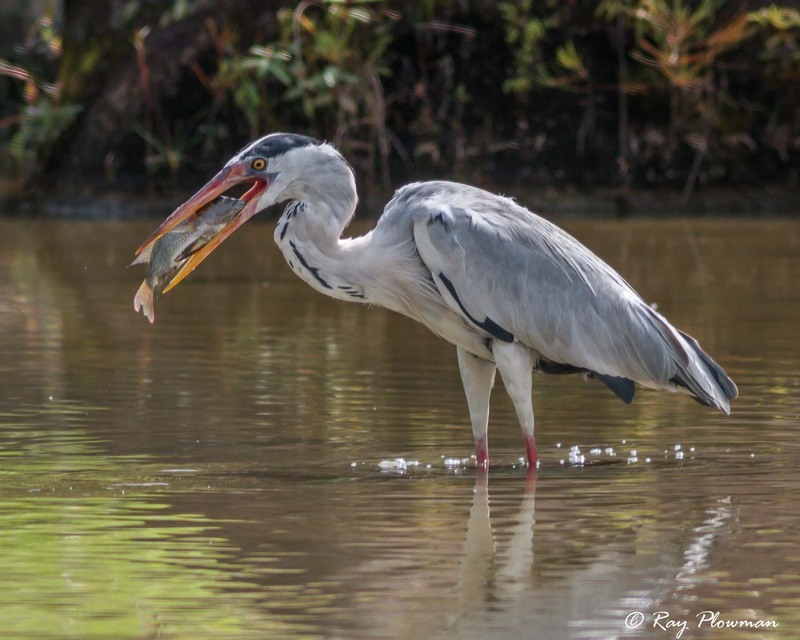 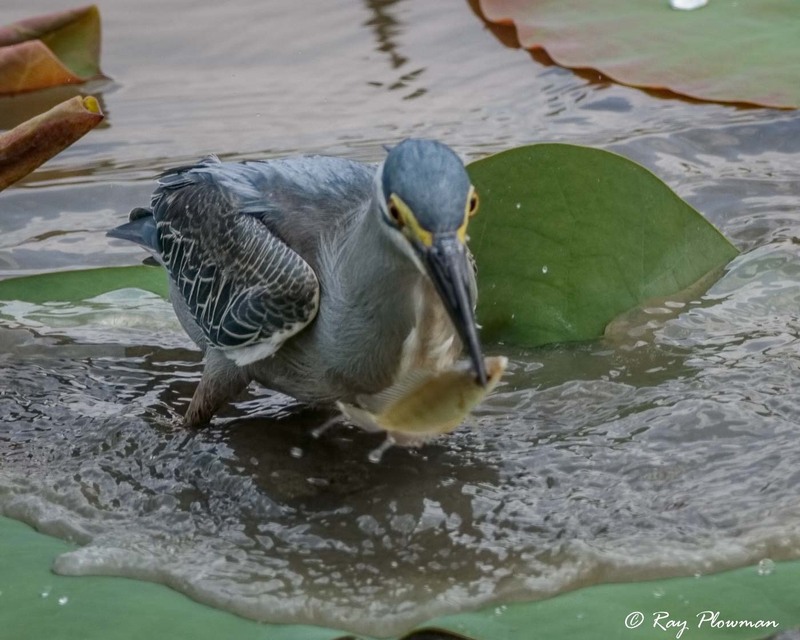 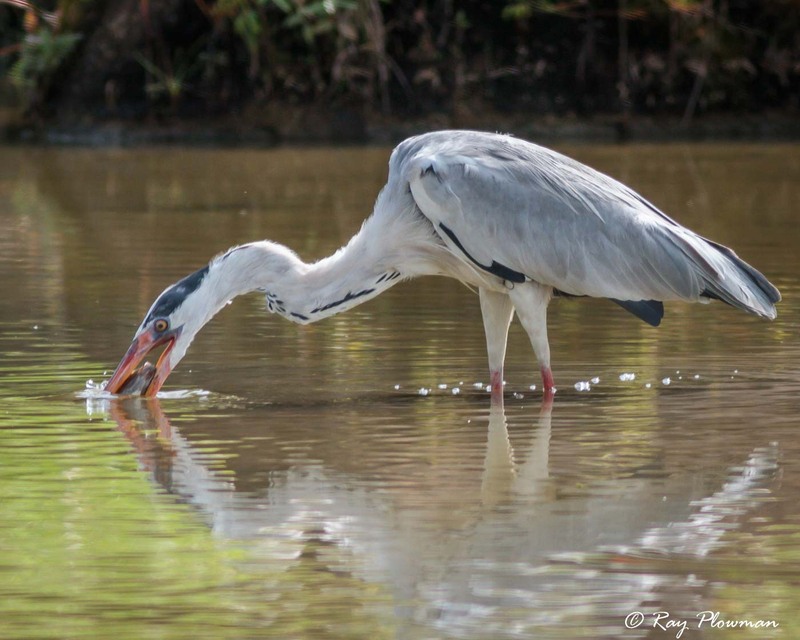 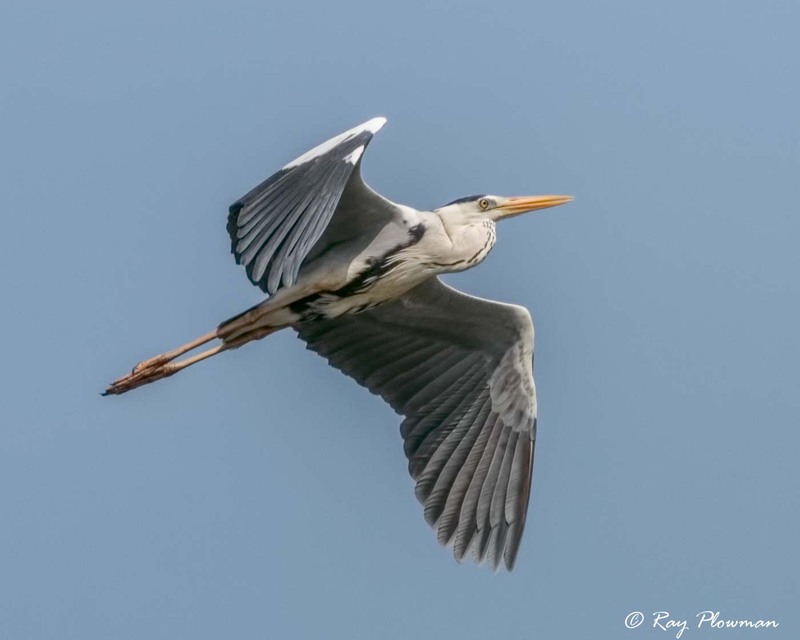 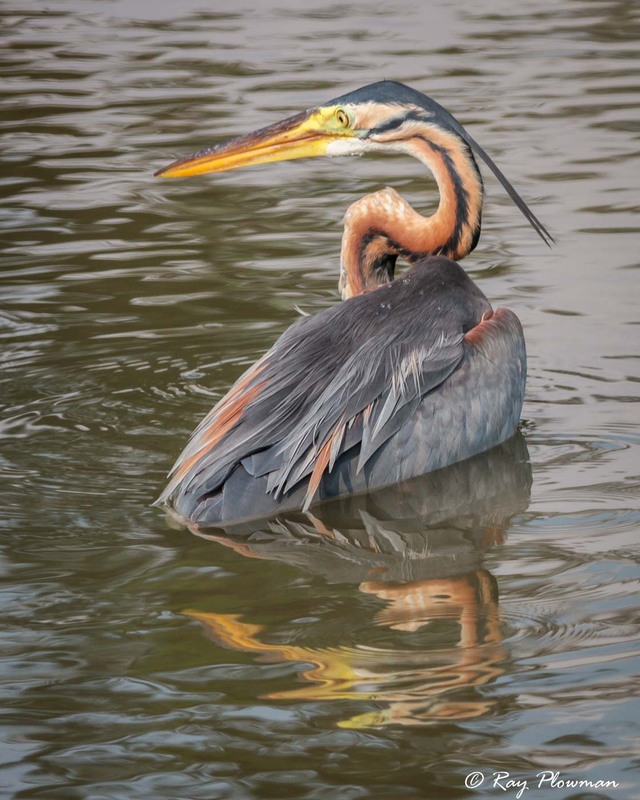 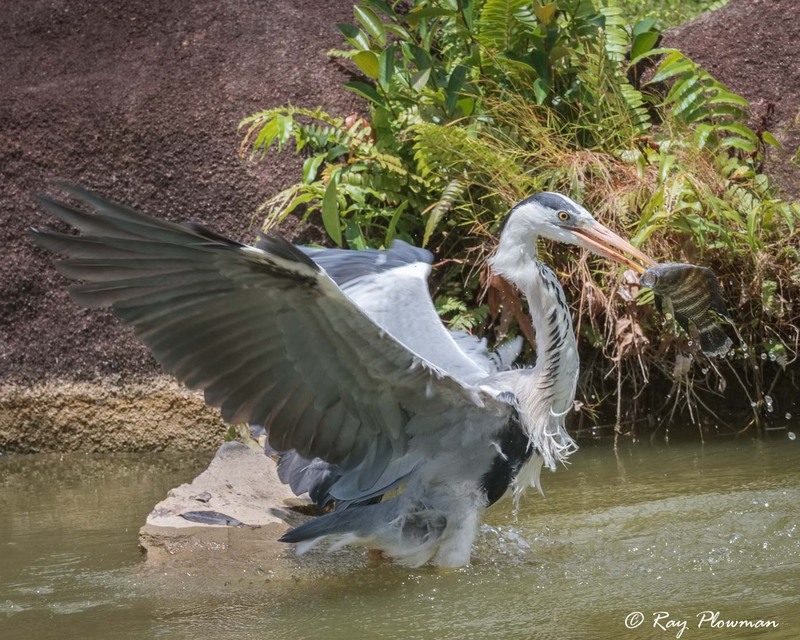 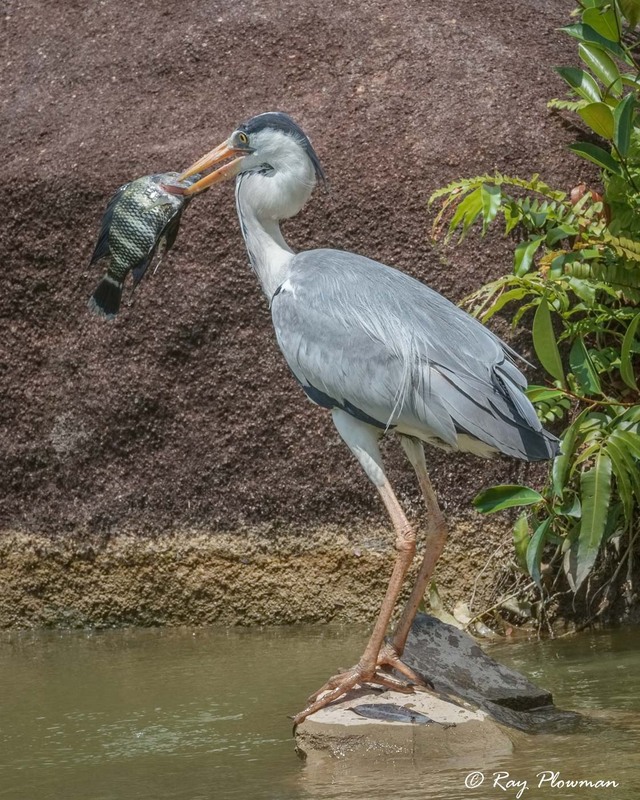 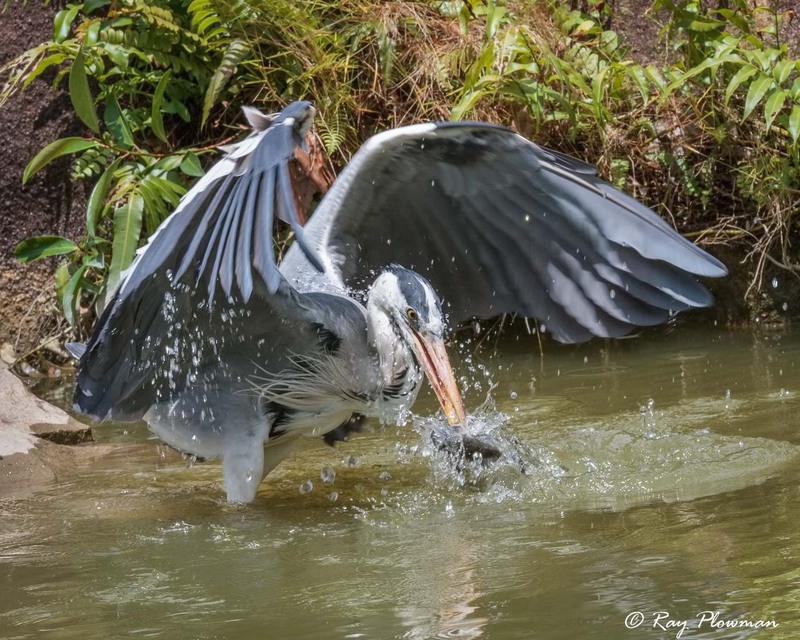 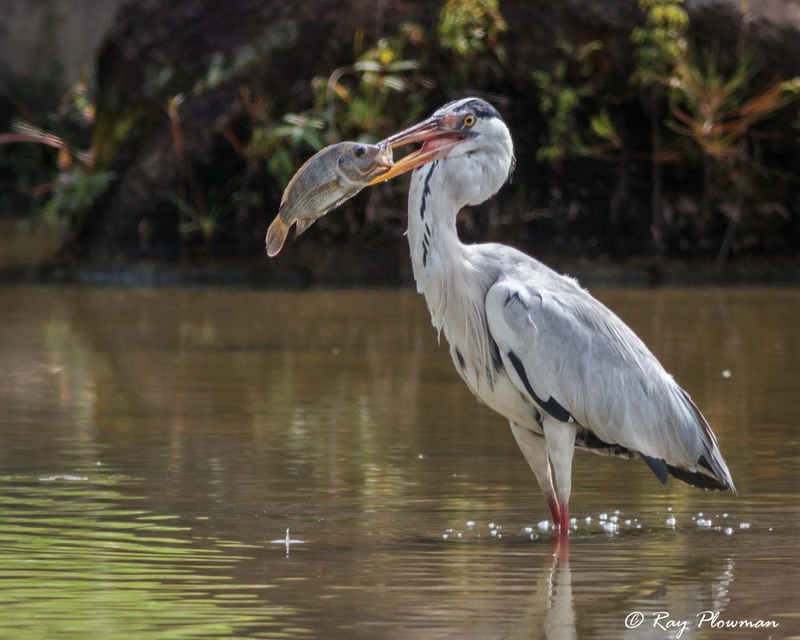 A photo essay of grey herons photographed in Singapore and featuring: (a) A sequence of five images at Japanese Garden main lake showing a bird having stabbed a very large fish attempting to swallow it. 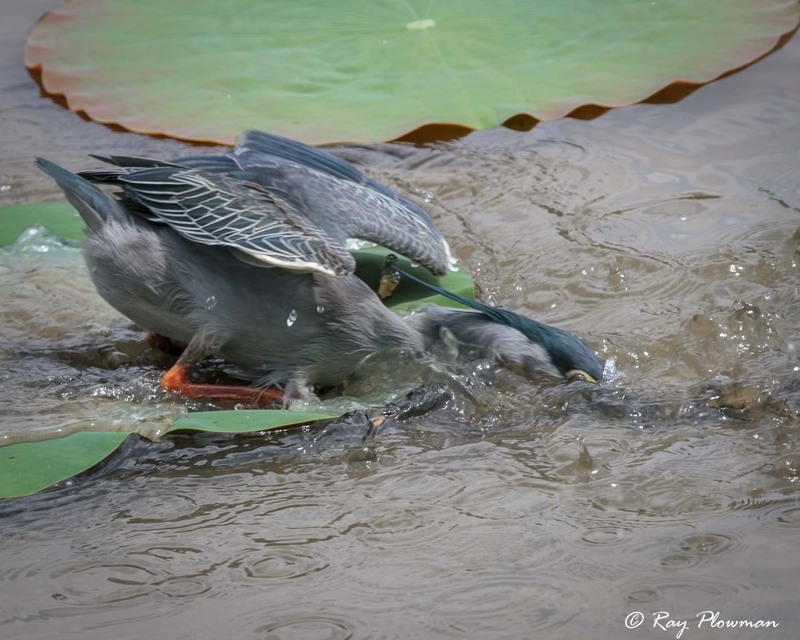 It took several minutes and needed some water lubrication to help it slide down; (b) Three images at the tea garden lake of a bird stabbing, manipulating and then perched ready to devour its prey; (c) And a couple of individuals flying; one at Sungei Buloh Wetland Reserve and the other landing at the Japanese Garden main lake. 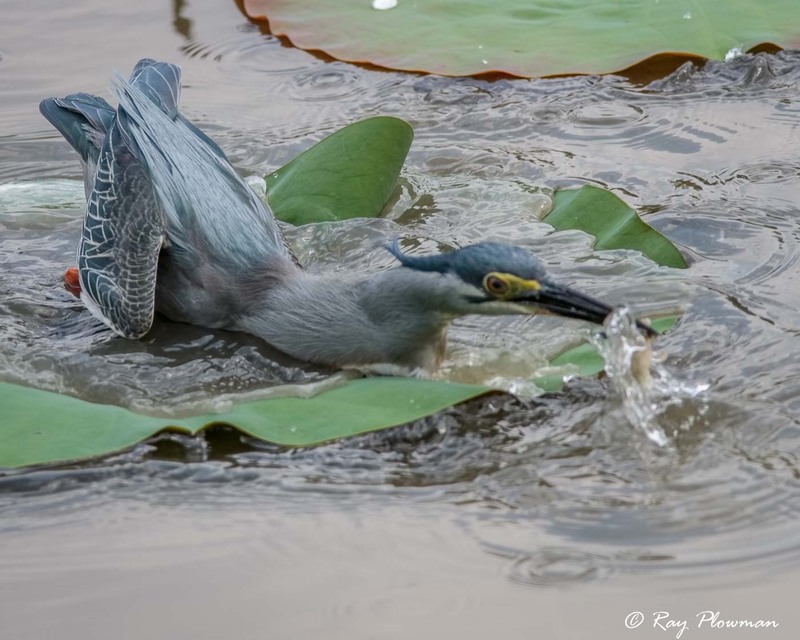 Garden main lake, I observed one individual hunting from lily pads. 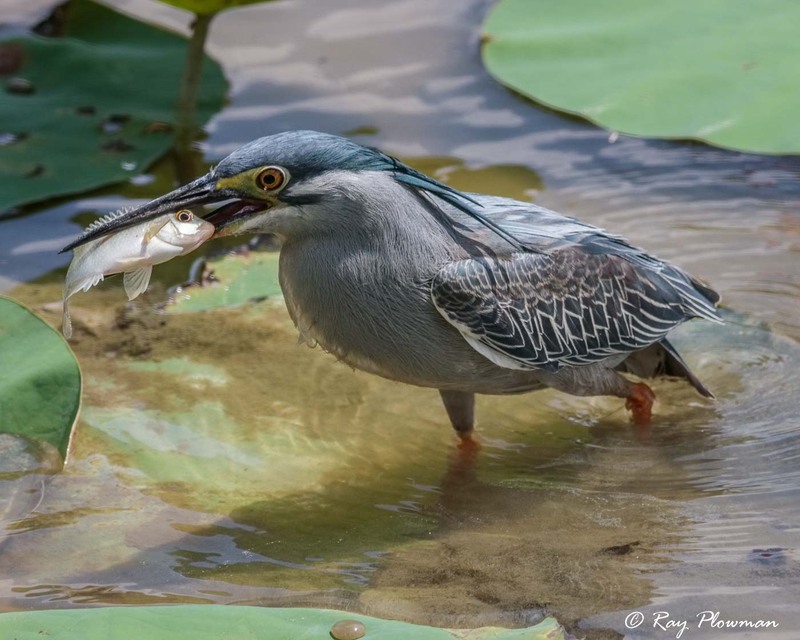 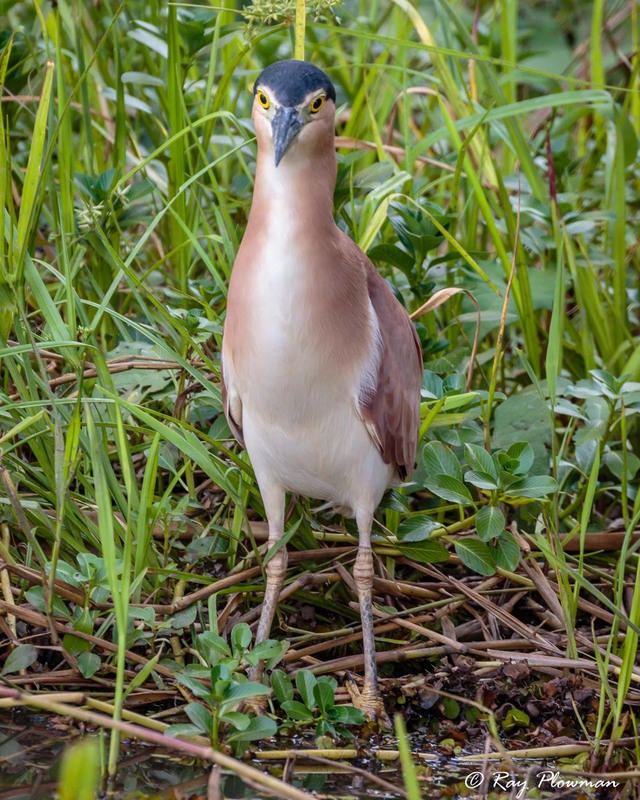 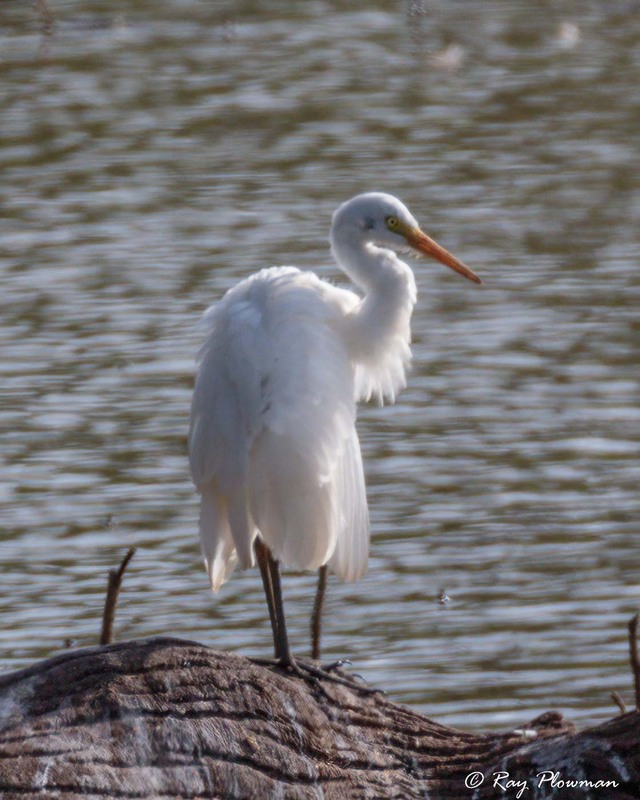 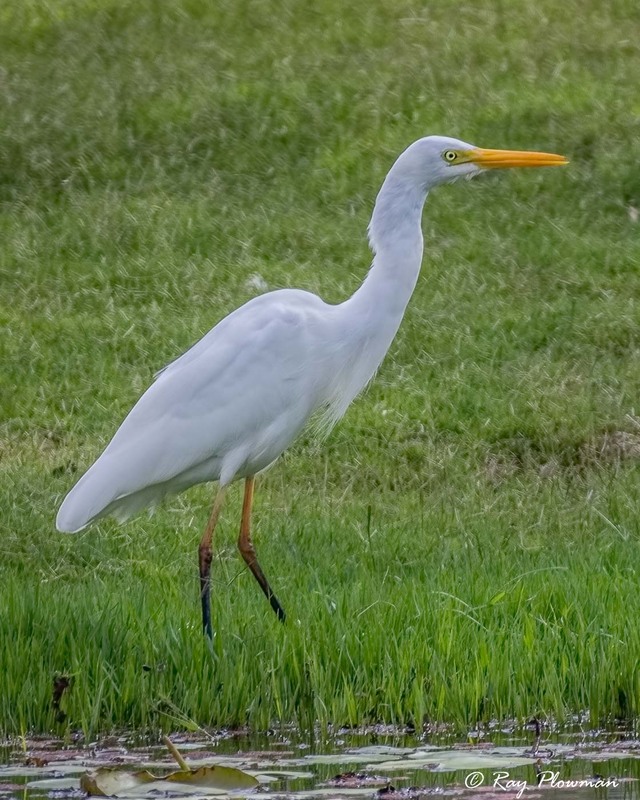 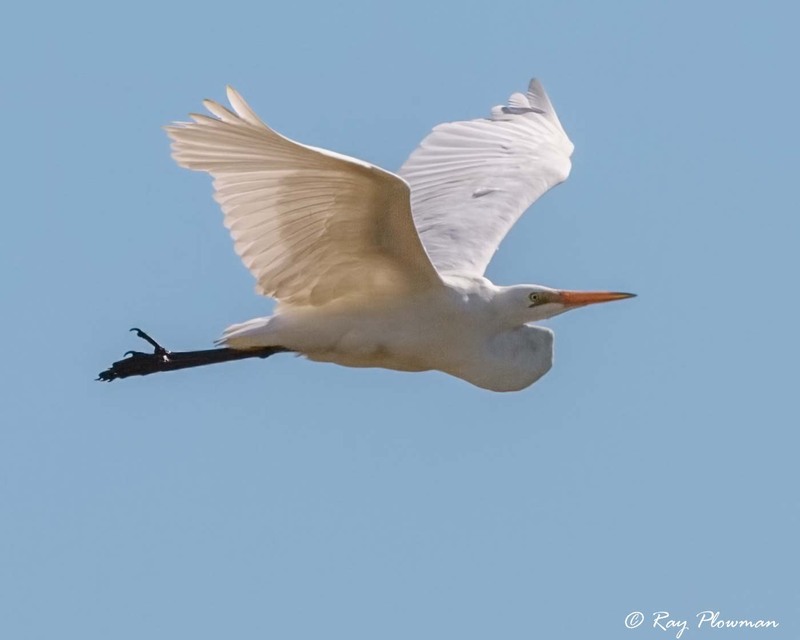 The bird would perch close to a lily pad edge watching and when a fish came in range would strike either stabbing or catching the fish in its bill. 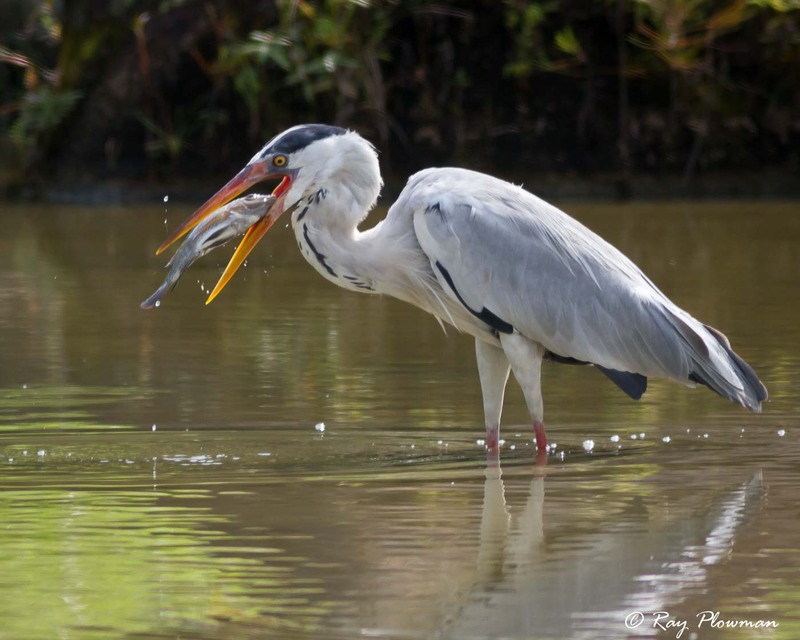 If the fish was small, it would devour it and then go on fishing but if the fish was large it would head to the bank to eat it there. 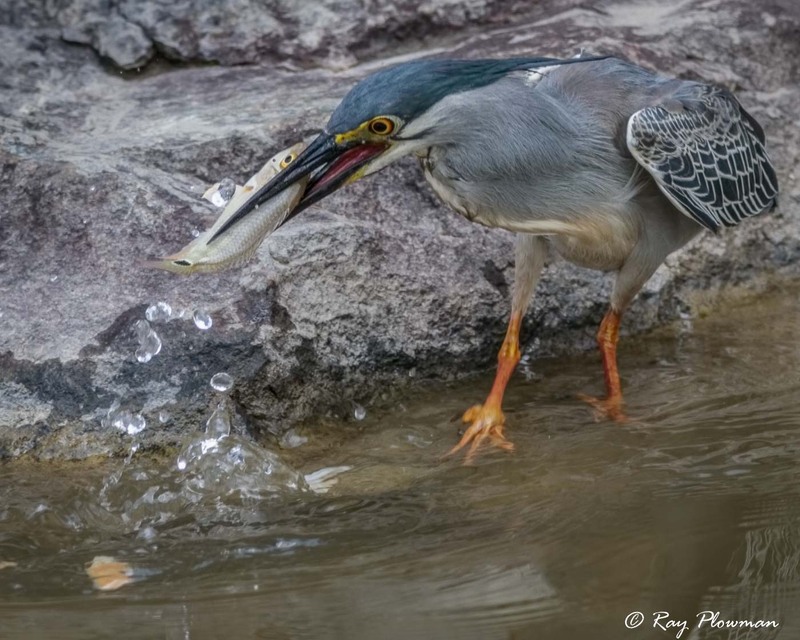 Kids and some adults feed the fish with bread. 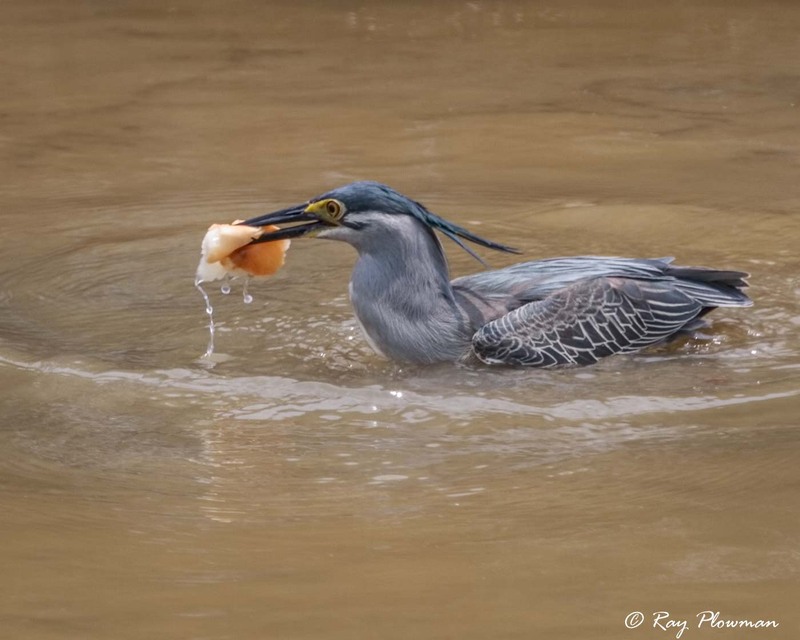 I watched one enterprising bird fly down to where the bread was thrown, bring it back to the bank, then drop the bread within striking range. 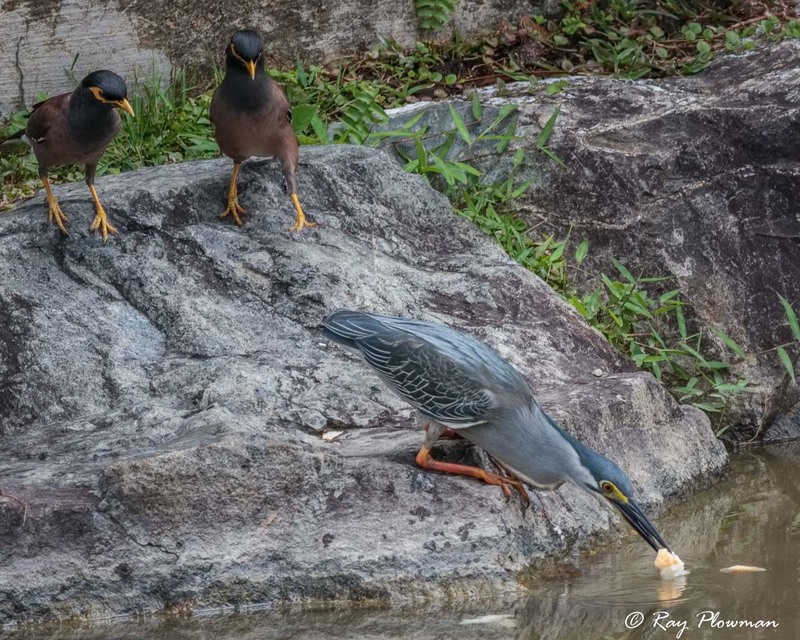 Common myna birds would take advantage by trying to steal the bread. 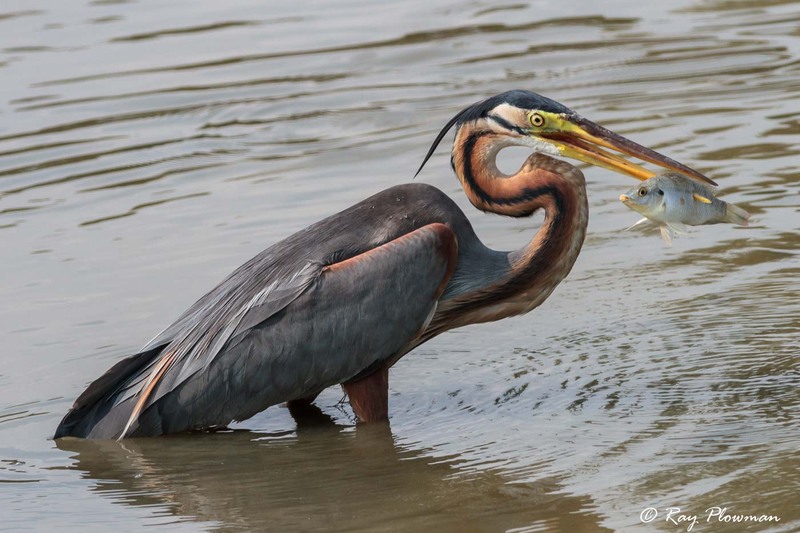 It seemed to be a successful technique with large fish being caught. 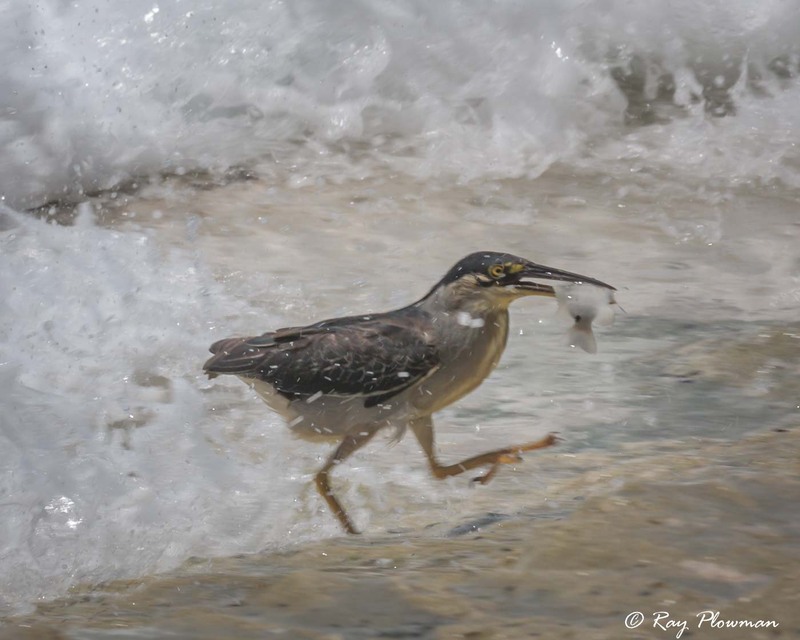 The final couple of images show ssp degens successfully hunting on the exposed coral rocks at Anse Bazarca in the Seychelles. 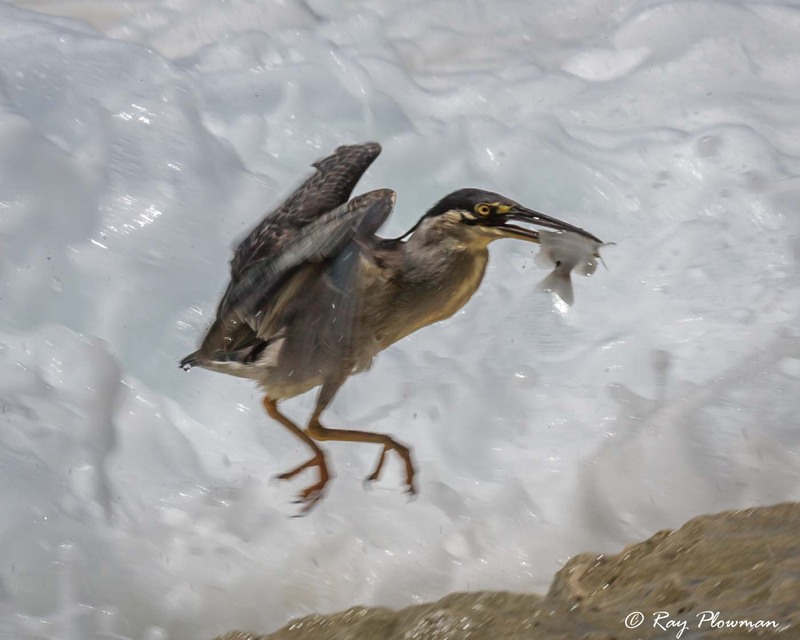 The bird was taking advantage of small fish brought in on an incoming tide but had to avoid the breakers often flying to avoid them. 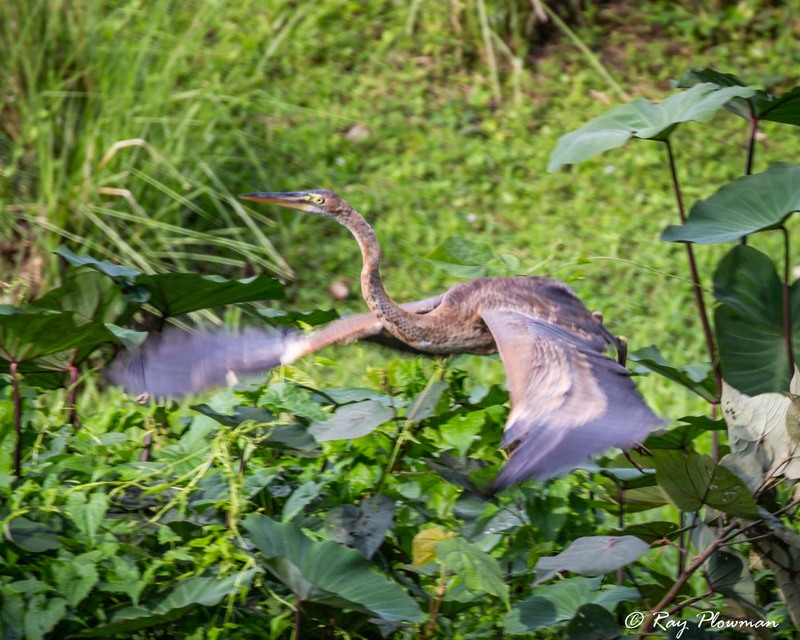 Two subspecies feature in the photo essay: In Singapore Butorides striata javanica and in Seychelles B.S. 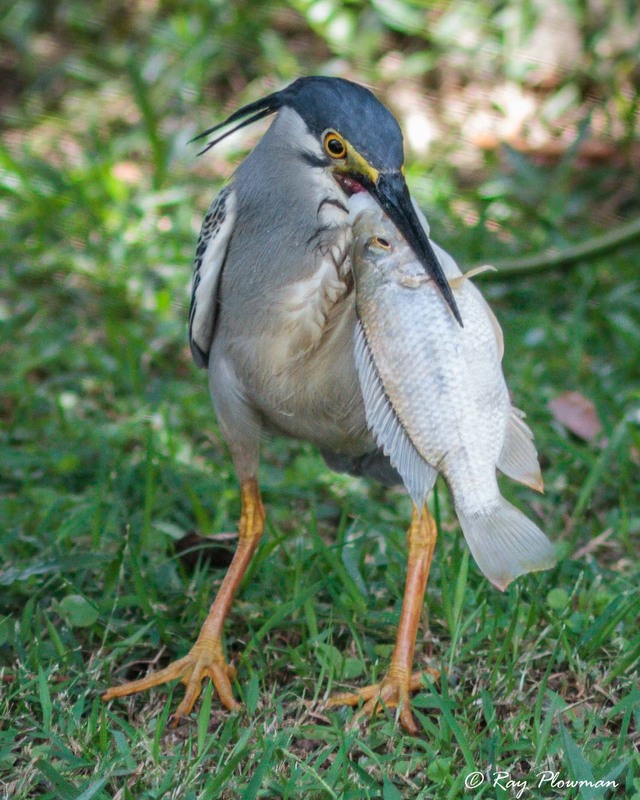 degens. 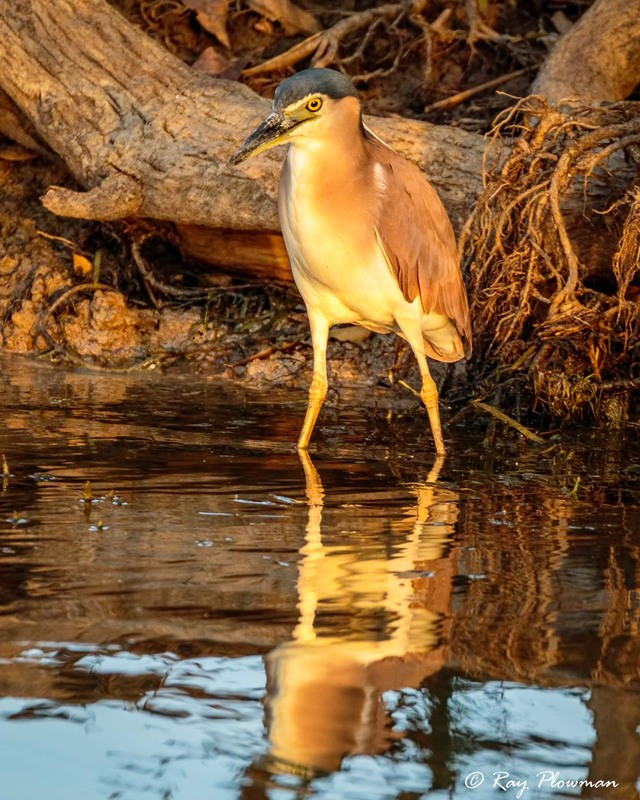 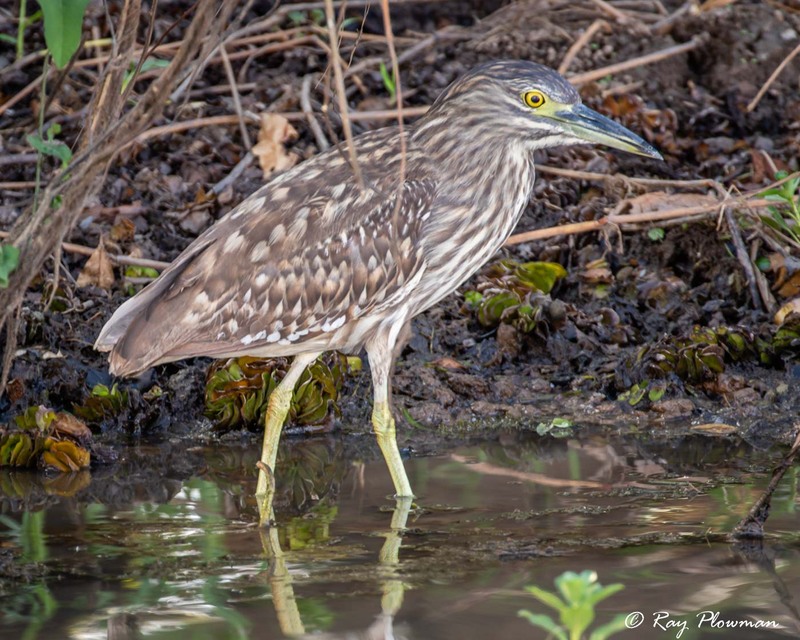 The first image, a rufous night-heron from the Nycticorax genus photographed in golden light as the sun was setting at Yellow Water in Kakadu National Park. 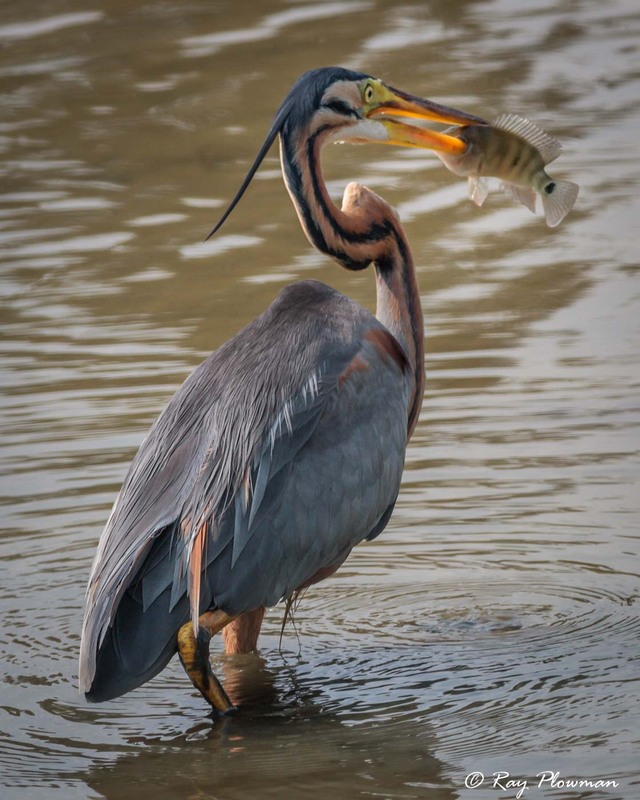 Two other images feature adult and immature birds. 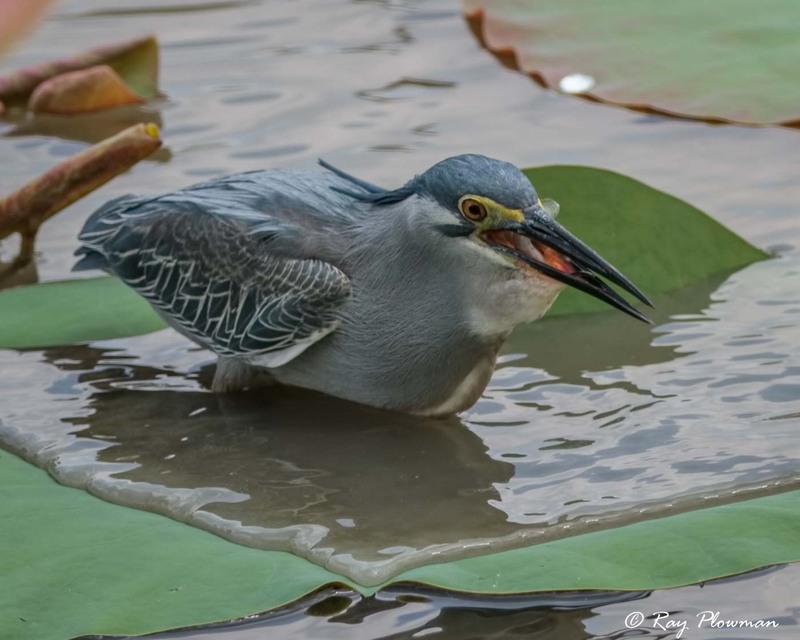 Images of plumed egret, from the Ardea genus, show breeding and non-breeding plumage. 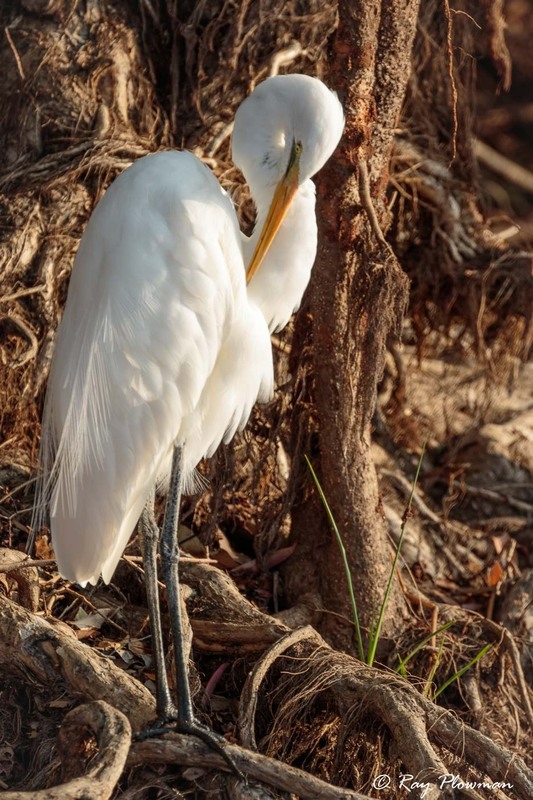 The final few images show an eastern great egret preening and flying and a great-billed heron swallowing a fish, albeit from a distance.